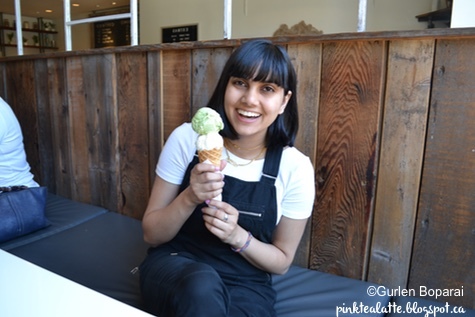 Vancouver has been hit by a massive heat wave, so ice cream is definitely a great way to cool off! 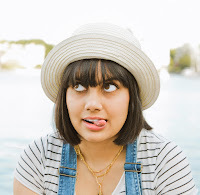 For July, I am going to be sharing with you my top places to go for a creamy and icy treat! If you live in Vancouver, you probably already know of the seriously good Earnest Ice Cream Parlour! Their iconic re-useable jars are all over instagram as well as multiple raves about their fabulous amazing ice cream. 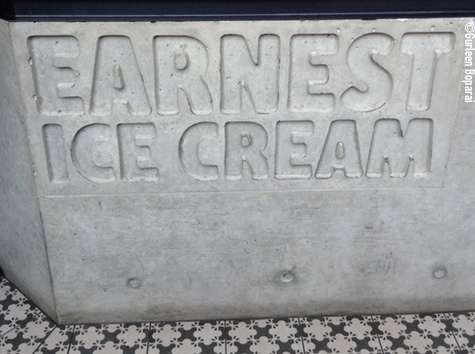 I was able to get in touch with Earnest to bring you some answers on their fabulous ice creams! So many amazing flavours to choose from! Earnest Ice Cream is the first to introduce a recycling program for their take home ice cream. Their regular flavour ice creams comes in really cute glass jars that you cannot help but Instagram about! Earnest is happy to say they have had a very positive response from the community for their return your glass jar for a dollar back. They currently have a 30% return rate; however, many people re-use the earnest ice cream jar on their own which makes Earnest very happy. The goal behind the recycling program was to be a zero waste company! All of the returned jars are cleaned and re-labeled in their two stores. As for their irresistible flavours, there is no single mastermind! It is a collaborative effort, especially with the idea/concept portion of the creation. After they have agreed on a new idea, their amazing production manager or one of the production assistants make a number of test batches/variations! 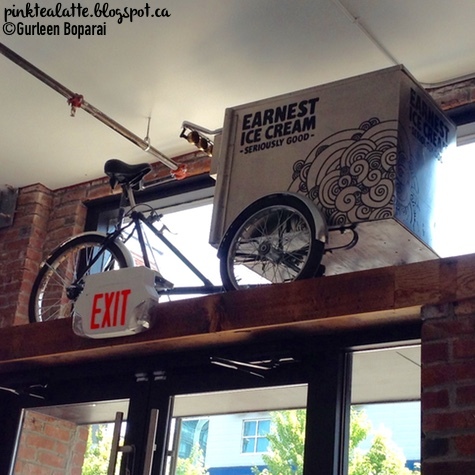 On the Quebec St. location, they have the Earnest Ice Cream Bike Cart displayed above the door! 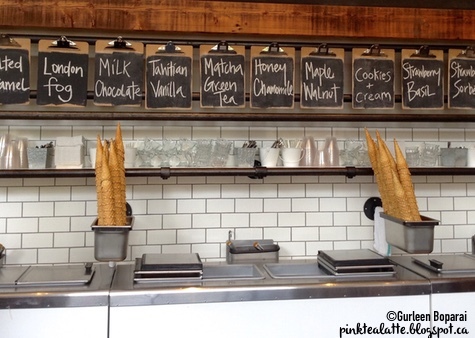 Each Earnest Ice Cream flavour is made in store in small batches! They try their best to source all their ingredients from BC; however, some ingredients may not be available local. 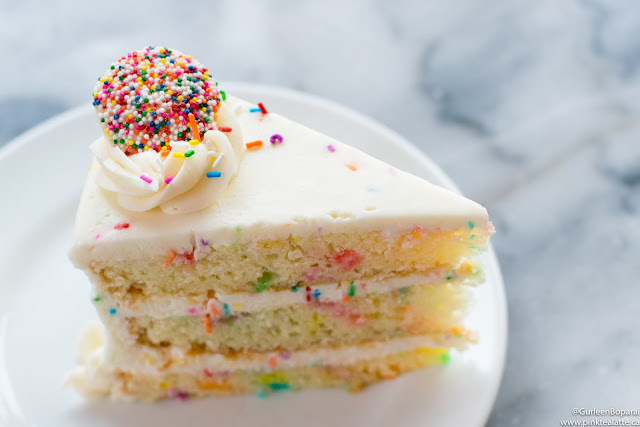 Before you visit the stores, be sure to check their website as everyday are new flavours (aside from the regulars!). Not only do they have ice cream by the scoop or in a beautiful glass jar, Earnest Ice Cream does SUNDAES! Really Delicious Real Sundaes! I was dying to try the the Rhubarb Oat Sundae, so I went back a few days later! Hehe, I got it with the Cookies & Cream ice cream = YUM! The Rhubarb was the right amount of tart and sweet and the whip cream melted into it. 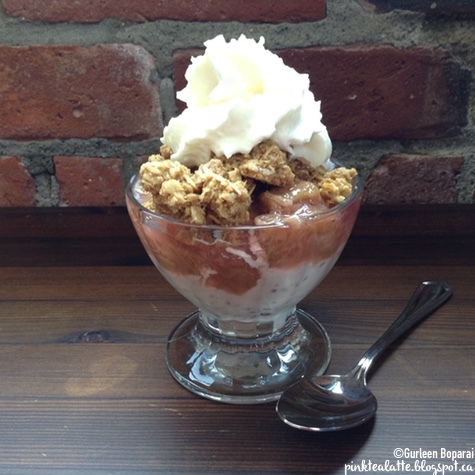 Rhubarb Oat Sundae with Cookies & Cream Ice Cream! The Matcha Green Tea was too good for words. I have no way to express how amazingly perfect the flavour was. It tasted REAL! It was evident Real Matcha was used in the ice cream! Yay!!! As well, Fresh Lemon, there was a perfect harmony between the creaminess of the milk and the lemon tartness. Haha I am unsure how I ended up choosing two flavours on the complete polar ends of the flavour spectrum, but they worked marvellously together! Yup, I am loving my Earnest Ice Cream - The Matcha Was PERFECT! I have yet to try the Affogato - it is expresso poured over ice cream. I am unsure if it is hot expresso or luke warm or cold, but when I get it, you will definitely be the first to know! The last thing I asked Earnest Ice Cream was can their next ice cream be PISTACHIO! I got a "ha, perhaps!" I am keeping my fingers crossed dolls as my wish may come true! I love pistachio ice cream and I cannot wait to try pistachio ice cream from Earnest. I know they will whip up the best pistachio ice cream ever!